The Niger State Polytechnic, NIGERPOLY Post UTME Screening form for (ND) Full-time for the 2018/2019 academic session is out. See how to apply. The management of Niger State Polytechnic, Zungeru is inviting interested and suitably qualified candidates for admission into the college for the 2018/2019 Academic Session. The following programmes/course is available for ND full-time students. Applicants must possess a minimum of five (5) credits in relevant subjects, which must include English Language and Mathematics at WAEC, SSCE, NECO, NABTEB obtained at not more than two (2) sittings. Eligible applicants must purchase the Polytechnic admission access Pin from any Commercial Bank through E-Transact for a Non-refundable fee of five thousand naira (N5,000.00 only) excluding Bank Charges. The NIGERPOLY admission form can be accessed online at the Polytechnic website, www.nigerpoly.edu.ng. Go to the official portal @ www.nigerpoly.edu.ng. The Niger State Polytechnic Post UTME Form closing date is 31st October, 2018. The Screening Exercise for all candidates will be conducted at Niger State Polytechnic, Zungeru, Main Campus on a date to be announced later. Candidates are required to check the official website of the polytechnic as from 1st November, 2018 for update on the post utme screening date. Niger State Polytechnic 2013/2014 Second Batch Admission List Out! Niger State Polytechnic 1st Batch (Merit) Admission List For 2013/2014 is Out! 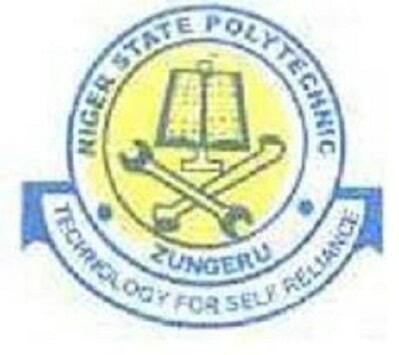 Niger State Polytechnic Zungeru Part-Time Results for 2012/2013 Session is Out!